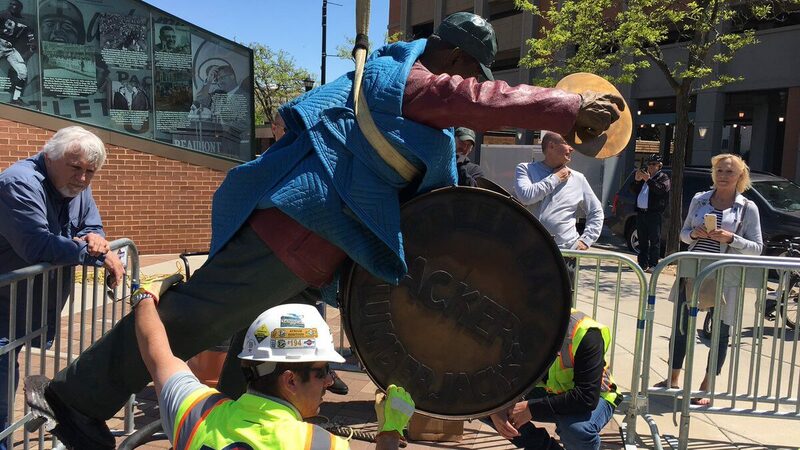 The Packers Heritage Trail Plaza is an interactive history of the Green Bay Packers. 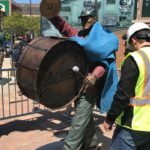 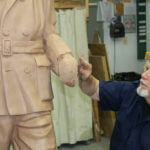 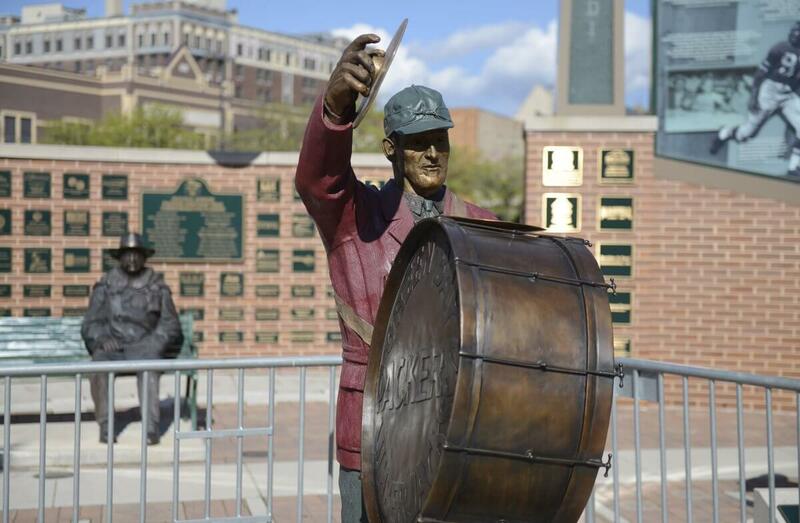 The newest addition is the "Drumbeat of The Lumberjack Band", a bronze statue of the drummer from The Lumberjack Band. 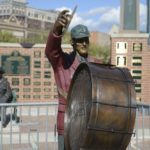 Called "the best playing band in the National Football League" by none other than Vince Lombardi, the band started in 1921 and pumped up the fans at pep rallies, games, and other celebrations. 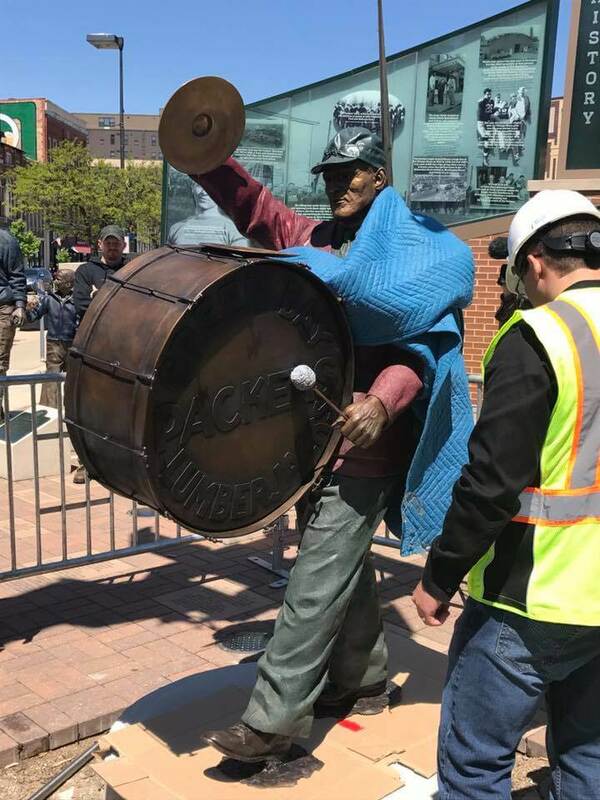 With a splash of red on his coat, the drummer plays on forever, rallying the fans around their beloved Packers. 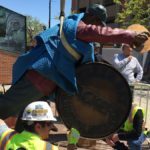 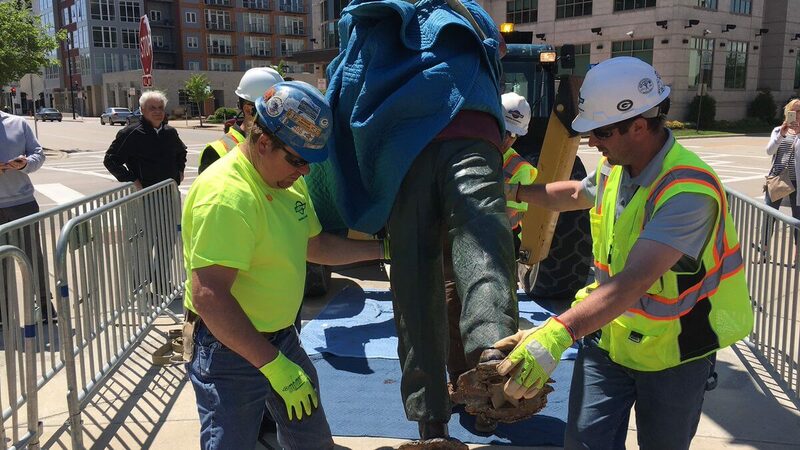 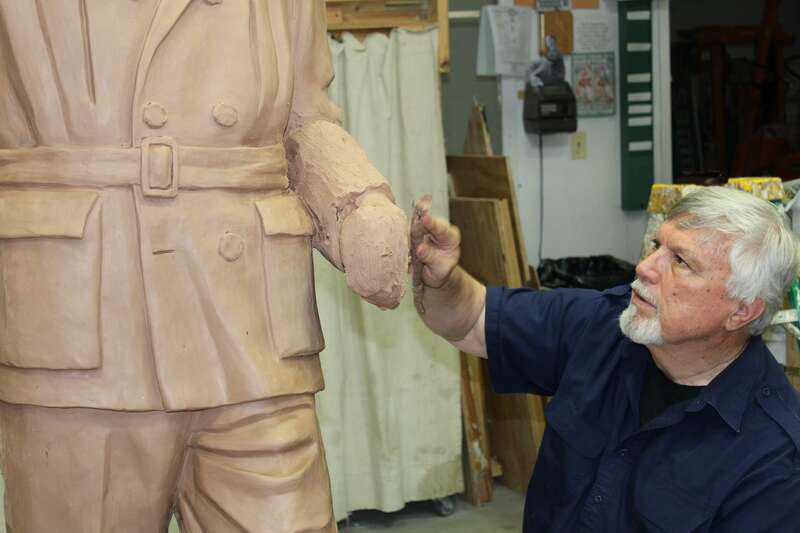 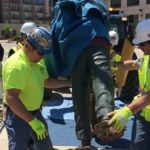 The piece was commissioned by The Green Bay Packers Heritage Foundation and was created by Gary Tillery of Fine Art Studio of Rotblatt-Amrany.